A utility to multiplex ssh dynamic tunnels. Frequently, for instance when proxying a torrent client through a tunnel established with ssh -D, the tunnel will be swamped by traffic. 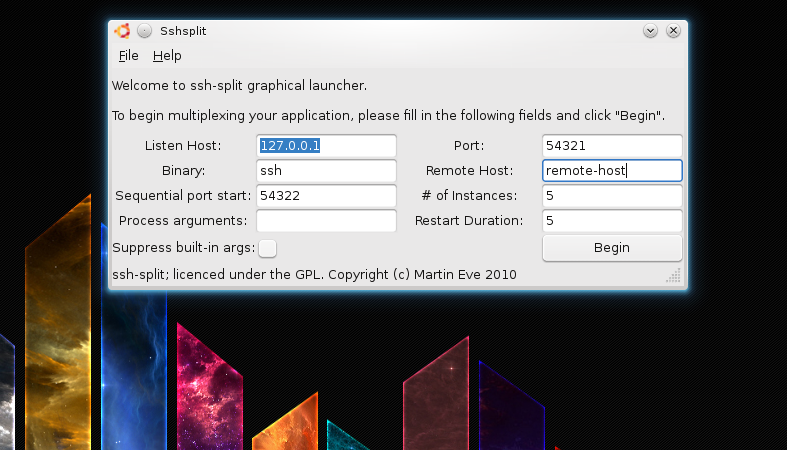 sshsplit spawns multiple instances and distributes the load among them.